Pump all the water you need with Protege and Aurelaqua Submersible Bore & Garden Fountain Pumps, an exclusive online offering by Edisons. Whether you need to extract and propel water from the depths of the earth, or just add a touch of elegance and tranquility to your garden pond, Edisons has got your back. 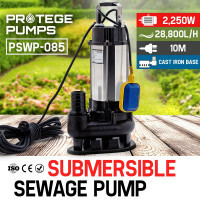 Go deep with Protege Submersible Bore Water Pumps, reaching dizzying depths of up to 195m. Water can be difficult to find, and you can be sure that Protege will draw it out for you, whether it is 5m or 195m below ground. 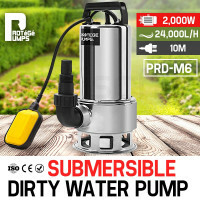 Protege Submersible Bore Water Pumps require only minimal work to reach the water. Manufactured from high-grade 304 stainless steel, Protege pumps will keep you in flow for years to come. Elevate ordinary garden ponds with Protege Solar Fountain Pumps. It’s powered by a solar panel, eliminating the need for unsightly wiring and saving you electricity costs. 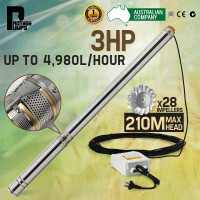 A quality stainless steel build, adjustable height, and smart cloud-detection round up the many features that make Protege Solar Fountain Pumps a must-have for your garden. 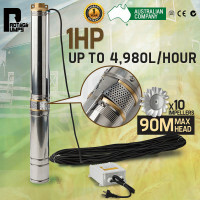 Maintain a healthy marine environment in your pond with Aurelaqua Fountain Pumps. This all-in-one solution combines filtration, oxygen, and volume circulation in one compact machine. On top of that, Aurelaqua Water Pumps also have a dual function waterfall control with 3 spectacular fountain patterns. Install one and you are sure to keep pond plants and aquatic life alive, happy and healthy for a long time. 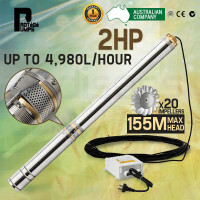 Round up all your pumping needs with dependable and affordable Petrol & Diesel Powered Water Pumps, Pond Pumps, Oil Pumps and High Pressure & Diaphragm Pumps, all available online on Edisons. 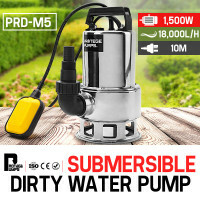 All Protege and Aurelaqua Submersible Bore & Garden Fountain Pumps are backed by an Australian standard 12-month domestic warranty and a 3-month warranty for commercial use. Edisons guarantees fast and easy delivery anywhere, whether you’re in Sydney or in the Outback. What are you waiting for? Buy a Protege and Aurelaqua Water Pump today.